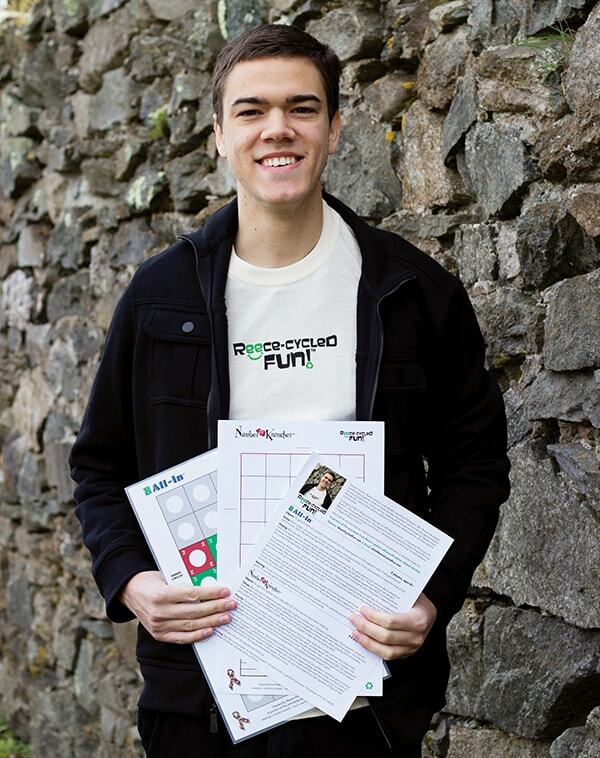 Game inventor Reece Arnold is an autistic man from Fairhaven, Mass. Reece has always loved creating games. 8 All-In™ and Number Kruncher™ are his first two game releases. Stay tuned for more releases soon! He also enjoys music, hiking, writing, creating short movies and traveling. Reece hopes that he can inspire other autistic people to follow their dreams and to use their talents to the fullest. In August 2014, Reece was featured on WCVB’s Chronicle – Living (and Thriving) with Autism – His Language is Music. This segment was nominated for a New England Emmy. Reece also received a Master Certificate in Orchestration for Film and TV from Berklee College of Music in 2016.